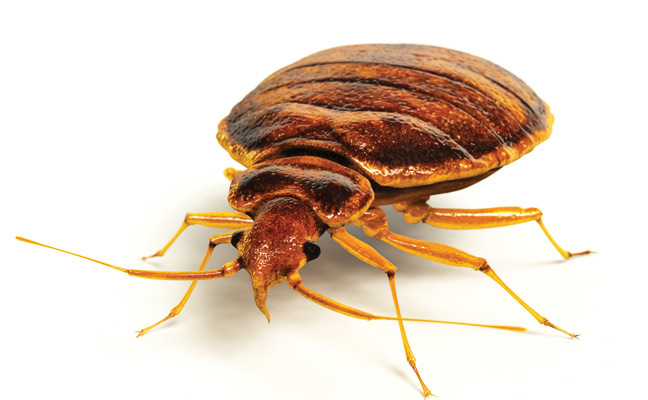 Bed bug disclosures for rental units may raise costs for landlords over the short-term but reduce infestations and lower costs over the long-term, according to a study published in the Proceedings of the National Academy of Sciences. A team of researchers developed a mathematical model to evaluate the costs and benefits of city and state policies requiring landlords to report recent bed bug infestations to prospective tenants. The model shows disclosure is an effective control policy to reduce the prevalence of infestations. It can lead to modest, five-year cost increases to landlords but ultimately results in long-term savings to landlords. Disclosure also saves tenants money from the first year of implementation. Disclosure could also reduce the threat – and cost – to private homeowners of spreading infestations. During a series of workshops related to the study, the researchers heard real stories of bed bug infestations, their effects on people and the struggle to get rid of the pests. The corresponding author of the study is Michael Levy, an associate professor of biostatistics, epidemiology and informatics at the University of Pennsylvania’s Perelman School of Medicine. Co-authors are Rehmann; Sherrie Xie, a doctoral student who’s also at Pennsylvania’s Perelman School of Medicine; and Alison Hill, a research fellow for Harvard University’s Program for Evolutionary Dynamics. Rehmann, whose civil engineering work usually involves studies of mixing in rivers and lakes, was brought into the study for his expertise in mathematical modeling and his prior work with the initiator of the bed bug study, Daniel Schneider, a professor of urban and regional planning at the University of Illinois. Bed bugs have re-emerged as a national and worldwide problem over the past 20 years, the researchers write. New York City, in fact, estimates annual prevalence of bed bug infestations is 12 percent in some neighborhoods. That’s why leaders in some cities and states – New York City, N.Y.; San Francisco, Calif.; Mason City, Iowa; Connecticut and Maine – have passed policies requiring disclosure of recent bed bug infestations. The researchers’ model says disclosure can make a difference. “Our results show that bed bug control is a classic collective action problem: Individual landlords bear the initial costs of disclosure policies, but after a few years, both landlords and tenants will benefit from the reduction in prevalence of infestations,” the researchers write in their paper. The researchers say their model could also be used to evaluate policies to control other household pests. “We’ve demonstrated that we can help people develop good policies to reduce the prevalence of these pests,” Rehmann says in a press release.